The fact is, in these troubled times, businesses and entrepreneurs can’t always rely on anybody else’s financial support. Banks are not worth the paper their money is printed on when it comes to actually lending you any cash. Customers can be difficult to come by in this day and age of austerity, and even more difficult to get them to pay you any time soon. Investors are a nice idea, but only a tiny fraction of businesses who want investment ever get it. But the good news is, if you play it right, you can cut your costs dramatically. Business super-scrimpers – this is your time. The old adage of ‘look after the pennies and the pounds will look after themselves’ is old hat. Think ‘look after the thousands and the hundreds of thousands will look after themselves’. Whatever the size and stage of the business you are involved in, there are plenty of savings on offer to the canny entrepreneur. 1.Let’s start at the beginning. Setting up a limited company in the UK is much easier than it used to be – with prices starting at less than £20 at The Formations Company and Companies Made Simple for example. 2. Hire freelancers for particular projects and jobs. Use outsourcing websites such as www.Odesk.com and www.peopleperhour.com and www.elance.com. 4. Network locally to grow your business, making use of services such as www.meetup.com and www.findnetworkingevents.com and plan your events using www.eventbrite.co.uk. 5. Be flexible about home-working – especially when you start out. Hot desking can bring some hot savings. 6. Try and use your own networks (and those of your friends, family and staff) to recruit the right talent, rather than costly recruitment firms. 7. Dell, Misco, ITC Sales and Euro PC are good places to get some cheap office equipment. 8. Use quiet hotels, business spaces, business clubs, customers’ offices or coffee shops to do business on the move. 9. Set up in areas where you can get decent business rate relief (remember, the less space you have, the lower the costs). 10. Don’t be tempted by a posh office postcode – if you need street cred use an mail forwarding service such as www.hold-everything.com. 11. Get virtual assistants such as eReceptionist. 12. Remember to grab tax breaks like National Insurance holidays for new businesses setting up outside the South East, apprentice subsidies and other employment grants. 13. Use your local university, college, student sites and intern sites to spot young talent and tap into online services such as Internwise, www.enternships.com, http://graduatetalentpool.bis.gov.uk, Wexo. 14. Crowdsource talent for specific services such as design, logos and websites using the likes of Crowdspring -and 99designs.co.uk. 15. Use market places and useful websites such as Ebay and Craigslist to get cheap office furniture and equipment (and even staff). 16. 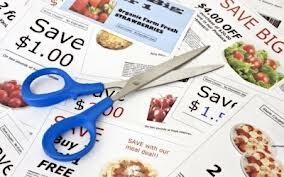 Regular paper, printer ink and stationery costs can be trimmed at sites such as Staples: and Viking Direct . Whilst Moo and Vistaprint are great for cheap printing and business cards. 17. Register domain names cheaply online – prices at www.godaddy.com and www.123-reg.co.uk can start from a couple of pounds a year. 18. Build your own website services cost as little as £6 a month with www.basekit.com and www.squarespace.com and www.wordpress.org. 19. Online storefronts are cheap and relatively easy to set up with Amazon Webstore – integrated with Amazon’s marketplace. Ebay runs a similar service. Pay Pal also offers a growing range of services,allowing businesses to start selling online quickly and cheaply. 20. Online accountancy services such as Xero, QuickBooks, Clear Books and Kashflow are www.freeagent.com have come of age. 23. If you budget around £25 a month, you can get some very decent business broadband and phones packages from First Telecom, XLN Telecom and Daisy Group. 24. Take secure card payments on the move from the likes of www.izettle.com. 25. Communicating with customers is key. Email service Mail Chimp or iContact are cost-effective solutions. 26. Live and learn. Use the range of free online and business information sites out there. 27. …and don’t forget the Government’s own information sources – www.gov.uk/browse/business. 28. Get social with Twitter and Facebook to spread the word about your business and talk to and engage with customers. Listen, learn, build and grow. 29. Use services like HootSuite, Twellow and Tweet Reach to engage with Twitter influences and gather followers. 30. Use LinkedIn to build your business network and find customers and potential hires. 31. Avoid expensive legal costs by using Simply Docs, the Federation of Small Business and the Intellectual Property Office for standard document templates. 32. Lots of websites offer free Google Ad Words vouchers for new customers. This is a good way to start promoting your website and testing which Google search terms could work for you. This can be linked with Google Analytics to track website traffic and key statistics…and get your business on the map with Google by claiming your place page. 33. Avoid having to splash out on a company car by using car sharing services like Zipcar. 34. Save money on training with online resources such as Udemy. 35. Switch on savings by switching your energy supplier, using the likes of Make it Cheaper and USwitch. 36. Services like Duedil are a great way to find out about the competition and customers. 37. Customer and content management systems like Sales Force, Zoho and Capsule CRM can be a far cheaper alternative than building your own. 38. Being able to back up your documents safely and access them when you are on the road can be invaluable for a stressed out and overworked small business owner. Dropbox, Evernote and Live Drive are all useful services. 39. Many businesses also forget to take advantage of services like Skype, which provides free telephone calls between people who have downloaded its software and can save a lot of money on long or international phone calls. It is also useful for sending instant messages to colleagues. 40. Alternatively, if you have to sort out an all-important conference call, services like Pow Wow Now are useful. The good news is that this is just the tip of the iceberg. A plethora of free offers, try-before-you-buy deals and new launches await committed bargain hunters. The age of the business super-scrimper is here – and long may it continue.